This comprehensive guide contains all the techniques you need with easy-to-follow, step-by-step explanations of how to propagate your plant. Whether you want to increase your plants by the easiest or most reliable methods of propagation, experiment with more unusual or advanced techniques, or use specialized techniques for a favorite plant group, you will find everything you need in this approachable handbook. Want to know the best way to propagate a particular plant? Each entry in the A-Z section of this book tells you which method of propagation to use, when to do it, and what degree of skill each method requires. Curious how you can improve your seed germination? AHS Plant Propagation instructs you on which seeds need special treatment before sowing, and how to provide the conditions to ensure a good rate of germination. Confused about how long it takes to obtain a flowering plant? You’ll find guidelines on the average success rate for each plant, how big a yield you can expect, and how long it should take to get a mature or flowering plant. Need to make sure your cuttings won't fail? This guide lets you know how to take appropriate cuttings from each type of plant and make sure they root successfully. 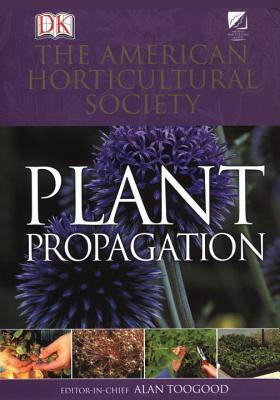 Expert guidance on the propagation of over 1,500 plants, this book is destined to become the standard work on the subject. AHS Plant Propagation is the practical handbook gardeners have been waiting for. This book is the quintessential, unrivaled, practical guide to the successful propagation of all garden plants—from trees and shrubs to culinary herbs, and everything in between.